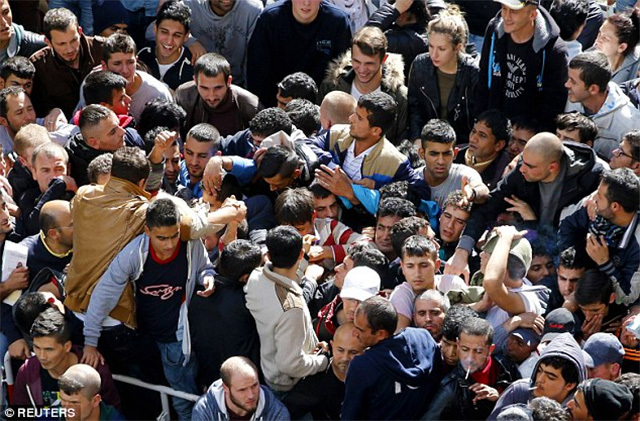 COULD FORCED MIGRATION OF MUSLIMS WORLDWIDE BE A U.N. “FINAL SOLUTION” FOR CHRISTIANS? As the puzzle pieces continue to fall into place, I find myself wondering if the forced migration of Muslims in Europe and soon to be in America, has a more sinister side to it than one would imagine. The United Nations is using Sustainable Development Goals as the next step to the One World Government. Forced migration is part of this agenda. I believe that this is part of an incredibly evil plan to destabilize nations, and to increase the slaughter of Christians worldwide. This would be a win win for the United Nations, who are pushing for “no more borders” in their quest to divide the world into regions rather than nations. In my article on the Antichrist System being revealed at the U.N. this month, I mentioned that forced migration was stated twice in the text of the Sustainable Development Goals. I also wrote that since it was spoken of twice, it must be an integral part of their goals.The world wants to believe that the majority of the “refugees” coming out of Syria, are indeed refugees, and not members of ISIS. The more I read about that which is happening already in the countries that have taken these people in, a feeling of trepidation overcomes me. The “migrants” from Syria are being called “refugees.” Wouldn’t you expect to see women, children and elderly people in the pictures of these refugees. All we are seeing are young, able bodied men who are Muslims. We all see the horrific slaughter of Christians by ISIS and other Islamic terrorist groups. Do we hear anything from our press, or from our White House? Nary a word spoken of it. History shows us that many leaders of countries, including FDR of the U.S., turned a blind eye to the mass slaughter of the Jews in the concentration camps during WWII. (New York: Pantheon Books, 1984). “The “Final Solution” was the Nazis’ euphemistic term for their plan to annihilate the Jewish people. Historians, including Mark Roseman, have shown that the usual tendency of the Nazi leadership when discussing the Final Solution was to be extremely guarded. Euphemisms were “their normal mode of communicating about murder”. But history showed us that the original persecution of the Jews, by intimidation, expropriating their money and property, and encouraging them to emigrate, evolved into Hitler’s promise of total annihilation of the Jews of Europe in his extermination camps. As I ponder the darkest time in the history of my people, I have to wonder if the United Nations is now seeking a “final solution” for the Christian problem. It seems that we may be standing in the way of their Sustainable Development Goals, mainly because most Christians and Conservatives do not believe the hoax of global warming. We know that global warming, or “climate change” as they also call it, is simply the vehicle which will bring the NWO to fruition. Brethren, the world turns away as they see the systematic slaughter of Christians in Iraq and Syria. Perhaps there would be more people outraged and saddened, but the press seldom reports on the beheadings any longer. I imagine there are people who have no idea that this is even going on. If this is indeed the U.N.’s goal to exterminate as many Christians as they can, by unleashing demonic terrorists into each nation, then our prayer for our Lord Jesus to come quickly will resound in every land as well. I have a strong feeling that the powers that be in the U.N. are elated that there are so many Jews back in their land – although most would say it is not their land. The reason for elation would be that they scheme to bring war against Israel in an attempt to annihilate the Jewish people. Having so many Jews in one place seems to be a convenience to those who wish to kill most Jews on the planet. Israel’s enemies do not understand that they have something — someOne who will rain down terror upon any weapons aimed at His people Israel. They have no understanding of the love that God has for His people. 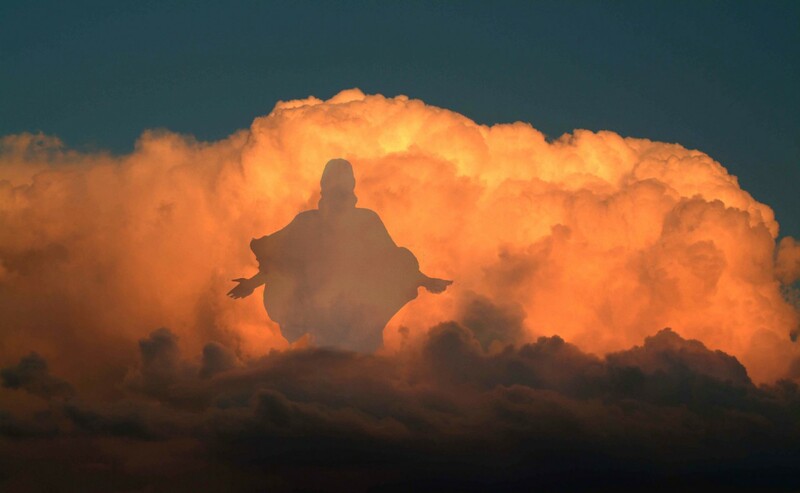 And in the same way, this evil world is clueless as to what will happen on that glorious day – in the twinkling of an eye – when Jesus appears to catch us up with Him into the sky, and then to heaven, and we will be with Him forevermore. Brethren, comfort one another with the Blessed Hope of His appearing.